My favorite thing about Boygenius is that they exist. This is embarrassing for me and insulting to them, because their music is fantastic. But I just can’t stop indulgently dwelling on and smiling about the fact that three women under 25 who make viciously vulnerable music about feeling bad, sad, humiliated, and heartbroken, each relative newcomers to the indiesphere, possess the cultural gravity to merit the term “supergroup,” and be the biggest news in rock. This might be a tired takeaway, since 2017 was “The Year Indie Rock Meant Something Different,” but if you came of age in as desolate a wasteland of male musical perspectives as I did, a time when women indie fans were hungrily on the sidelines still looms close in the rearview. The supergroup held a four-hour long service at Brooklyn Steel on Wednesday for a non-denominational congregation of every denim cut of hipster, every piercing placement of queer, pockets of business casual 30-somethings, and scatterings of NPR parents. It felt like worship. 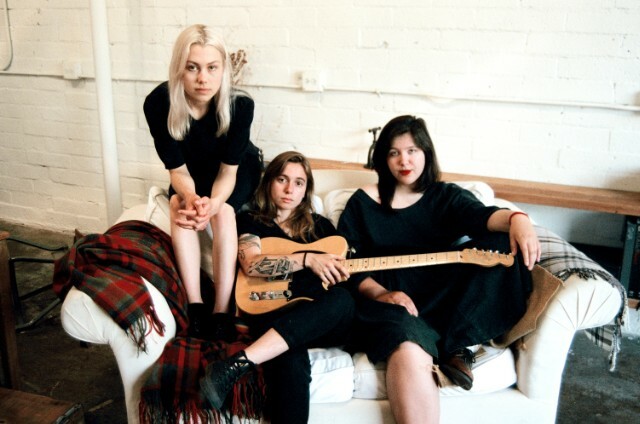 The infatuation with Boygenius as a symbol of women’s reigning dominance in indie rock, on top of the instant canonization of the six songs they’ve actually released — as well as the mystic ephemerality of this tour, since the future of the supergroup beyond this EP is ambiguous — created the atmosphere of an auspicious, holy occasion. There were many sacred moments in the solo sets alone. Like Dacus’ surprisingly powerful shred on “Timefighter” (you’d never know she doesn’t like playing instruments) and the way certain soundbites of her deep, rich moan wouldn’t sound out of place in a jazz club, while others were right at home amid the guitar feedback. 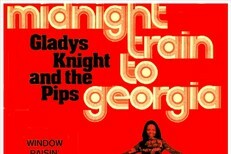 Or like Bridgers’ wild wail on the final phrase of “Motion Sickness” (a feature of her voice, not particularly apparent on Stranger In The Alps), and her side-eyed quip, “Don’t worry this one’s sad too, it’s just a little bit fast” as she introduced “Georgia.” The crowd was able to glimpse Bridgers’ endearingly crude sense of humor that bucks the elegance of her music. Or, like the entirety of Baker’s blitzkrieg performance, and the way her whole body and face contort when she roars, her eyebrows jerking manically upwards while her mouth forms a huge cavern or a crooked cowboy sneer. Baker seemed a little shaken at the end of each song, as if she were sharing these confessions for the first time, though some of the songs she’s been performing for well over a year now. Despite all these great moments, the real magic of the night came after Baker, “the headliner” left the stage. A few less devoted or uninformed viewers trickled out thinking the show was over. Not many though, as we stood and waited for Boygenius. Boygenius didn’t need to do much to please their adoring fans, but they lived up and leaned in to their impossible mythology from the minute they walked back out on stage together in a set of monogrammed blazers; Dacus’ embroidered with teeth, hands, and a line drawing of Idaho (a nod to “Ketchum, ID” which they’d later close the show with), Baker’s fittingly covered in a wolf howling at the moon and stars, and Bridgers’ bejeweled with constellations. They looked like a mariachi band, or a trio of game show hosts as they launched into “Souvenir,” grinning at each other, their comradery infectious. The trio’s harmonies, as well as the moments when they traded place at the mic — two stepping back to watch the third shine — were even more graceful and loving live than they sound on the record. During “Stay Down,” Bridgers and Dacus stood to the side of Baker, facing her, hands crossed behind their backs like two admiring sentries. The crowd even respectfully stayed quiet as Bridgers sang “Me And My Dog,” until no one could hold it anymore and screamed, “I WANNNNA BE EMMAAAAAAACIAAAAAAAAAATTEEED,” along with Bridgers before regaining composure. But Brooklyn wept during Baker’s guitar solo on “Salt In The Wound,” as Bridgers and Dacus got on their knees and started bowing down to their friend, worshipful. The two eventually turned over onto their backs and waggled their limbs in the air like happy dogs while Baker grinned, totally embarrassed. The display elicited laughter from an audience that felt just as committed to the moment, sappy drunk on the intoxicating fact that Boygenius, the supergroup, was here performing their epic for us.